Balm stains become quite popular in recent years and many brands from high end and drug store have included it in their product range. During my latest haul from beauty joint i picked Jordana Balm Stain to give it a try. They introduced some really lovely shades few years ago and the one i picked is Candid Coral. Today i am going to share my thoughts on it. This Balm stain comes in retractable stick that twist up from bottom with cap on it. The color of stick is same as the product inside. 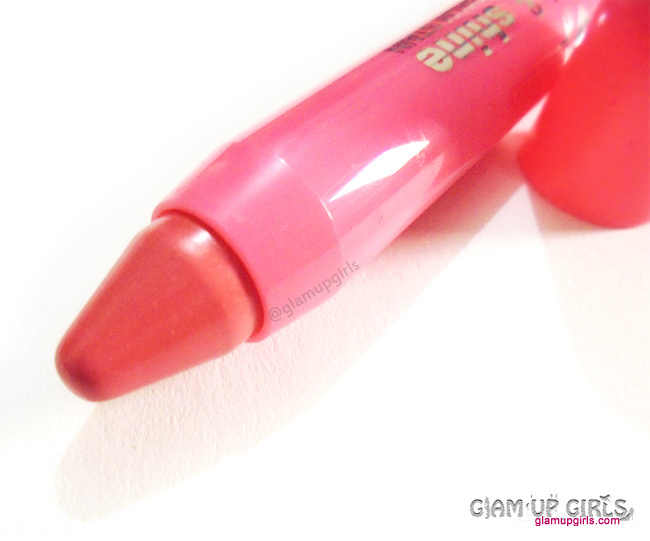 The texture of this balm is creamy soft and applies very smoothly on lips and has glossy finish. It has a little strong kind of smell which can be put off for some but i am glad it disappears quickly. 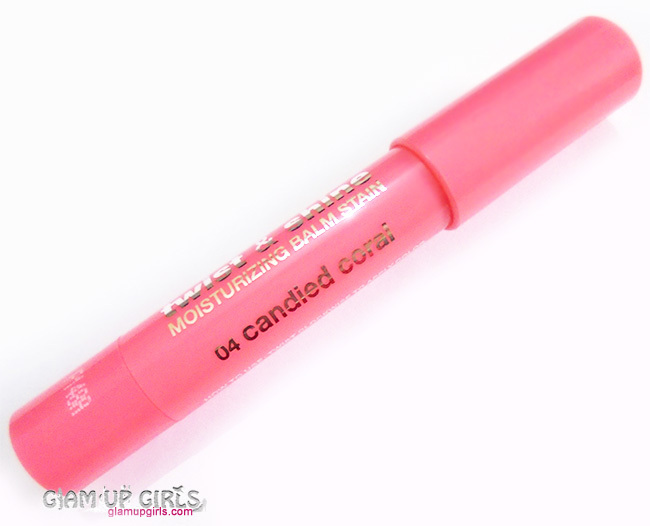 Candid Coral is medium coral shade which is more on pink side then orange but when it starts to fade away it leaves more deep color stain then orginal and is more on orange side. I am loving that stain as well. This balm has very good pigmentation and you can build it from very light shade to more intense color. It is very moisturizing for my dry lips and you do not need any other hydrating balm beneath it infact even after it fades away my lips did not felt dry for very long time. However make sure to scrub away the dead or flaky skin from your lips to get even application. It is quite long lasting as well, It stays for 2 to 3 hours before fading and then leaves a lovely stain behind for some more time. As it is retractable so you do not need to sharpen it. It has good amount of product inside it which is perfect for its price. I wish i had bought some more shades along it. Overall Jordana balm stain is amazing for its price. It has good color payoff, very moisturizing which leaves a lovely stain. I would highly recommend everyone to try it.